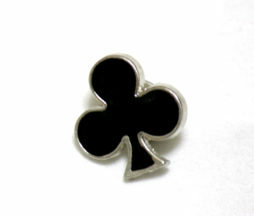 Small enamel pin from Peace Now in the shape of a club. A nice extra detail for trump coordinates or just for fun. This pin was part of a larger set and was never used.